The Unity Council was awarded a $250,000 grant from the Citi Foundation 2018 Youth Workforce Fund to help more than 150 low-income youth in Oakland attain 21st century workforce skills and paid internship and apprenticeship opportunities. One of fifteen organizations across the U.S. and the only one in the San Francisco Bay Area selected to receive this grant, The Unity Council will be part of a learning community that receives technical assistance and share best practices with other community organizations that are part of the initiative. The Youth Workforce Fund is part of the Citi Foundation’s three year $100MM global Pathways to Progress initiative, which focuses on career readiness initiatives that provide youth job seekers the full range of services needed for long-term employment and economic success. The Fund is a national initiative that is supporting community organizations in cities across the United States to help them expand their programming and connect low-income youth to employment opportunities. 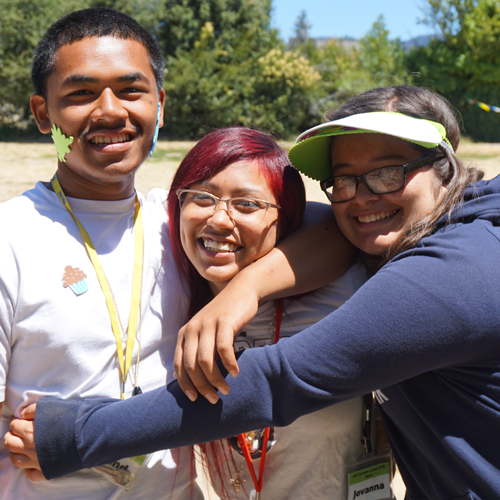 This grant will enable The Unity Council to deliver a 6-week intensive workforce training program for High School students and out-of-school youth and pair these young adults with a Career Coach to focus on individualized career planning, workforce skill development, mentorship, and paid employment in the East Bay. This work will be complemented by the inclusion of financial capability training to help youth develop healthy money habits and save for their future. The focus on youth employment programming is part of The Unity Council’s five-year strategic plan, with an ultimate outcome of providing youth with education and career pathways that allow them to achieve financial security. Youth served by Unity Council programs range in age from 14-24. The majority live in Oakland, but many are no longer enrolled in high school or college. The youth career services at The Unity Council introduce these young adults to a variety of careers, and allows them to earn while they learn the skills needed to succeed in their careers. Access to apprenticeships, internships and vocational training is essential to empowering youth and preparing them to compete in today’s economy. According to the Citi Foundation’s Global Youth Survey: Economic Prospects & Expectations, 78% of young people surveyed believe that internships and apprenticeships are critical for career success, however, 60% say there aren’t enough of these opportunities in their cities. The Unity Council has a robust history of workforce development programs for adults in Oakland for over 15 years, both operating a bustling one-stop career center serving more than 400 adults each year as well as offering one-on-one case management to qualified adults in priority industries such as healthcare, transportation & logistics, and manufacturing. Youth programming has also been a long-standing program area, with a strategic shift to focus on career development and financial capability training in the past five years. The Unity Council is a non-profit Social Equity Development Corporation with a 50-year history in the Fruitvale neighborhood of Oakland. Our mission is to promote social equity and improve quality of life by building vibrant communities where everyone can work, learn, and thrive. Our programs aim to provide the community with the tools, knowledge, and resources to transform their lives and ultimately achieve their long-term educational, career, and financial goals. These holistic programs and services reach more than 8,000 individuals and families annually in five languages. Programs include: early childhood education, youth mentorship and leadership development, employment services, career readiness training, housing and financial stability, senior citizen services, affordable housing and neighborhood development, and arts and cultural events. The Unity Council employs a diverse workforce of more than 250 people who reflect the linguistic, cultural, and ethnic identity of the communities we serve. Our work expands beyond the Fruitvale district and now reaches across Oakland and into Concord. The Citi Foundation works to promote economic progress and improve the lives of people in low-income communities around the world. We invest in efforts that increase financial inclusion, catalyze job opportunities for youth, and reimagine approaches to building economically vibrant cities. The Citi Foundation’s “More than Philanthropy” approach leverages the enormous expertise of Citi and its people to fulfill our mission and drive thought leadership and innovation. For more information, visit www.citifoundation.com. The Unity Council (officially known as the Spanish Speaking Unity Council) envisions a joyful, united, and engaged community where people have the power to shape their lives. Founded in 1964 as a nonprofit community development organization committed to enriching the quality of life primarily in the Fruitvale District of Oakland, its Mission is to promote social equity and improve quality of life by building vibrant communities where everyone can work, learn and thrive.